While performing the duties of this job, the employee is regularly required to talk and hear. This position is very active and requires standing, walking, bending, kneeling, stooping, crouching, crawling, and climbing all day. Specific vision abilities required by this job include close vision, distance vision, color vision, peripheral vision, depth perception and ability to adjust focus. Nikkei MC Aluminum America, Inc. (NMAA) is a secondary aluminum manufacturer who supplies aluminum alloys to the die-casting and gravity-casting industries. 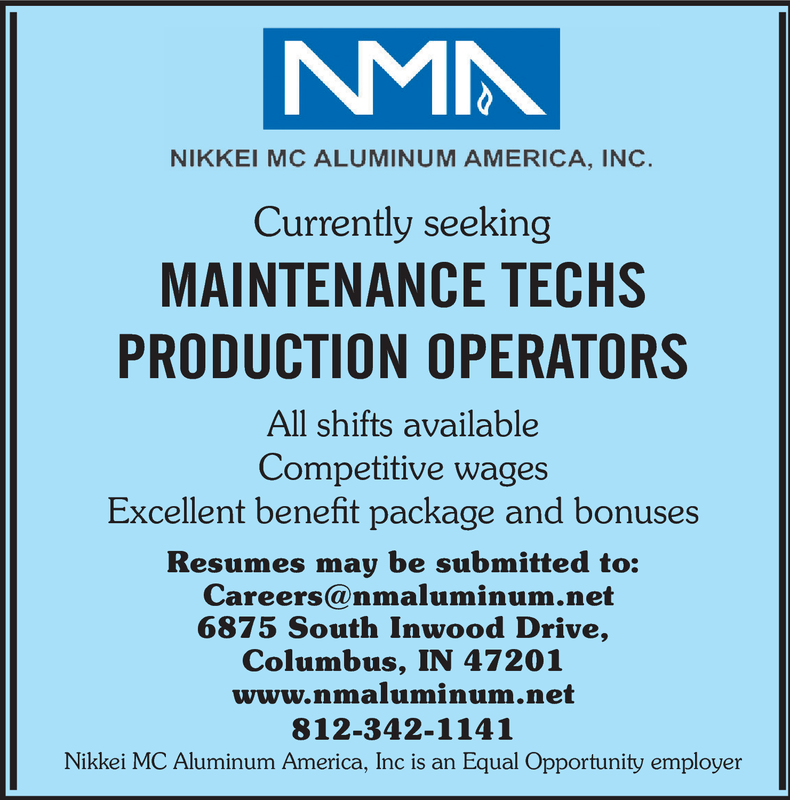 Nikkei MC Aluminum America, Inc. is located in Columbus, Indiana. NMAA is a secondary aluminum company that specializes in creating many different aluminum alloys. We provide products that meet the characteristics, specifications, and quality our customer’s demand. Meeting these demands is achieved through the diverse product line-up including; high toughness, high wear-resistant and high thermal conductivity alloys.